ELETTROGRAF S.R.L. 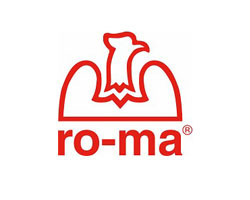 is a Italian-Romanian company which promotes HOT MELT adhesives on the Romanian market produced by Elettrograf SAS Italy and other packaging systems. Areas of Elettrograf – products application : tapestry, cars, cartotehnica, ceramics, toys, packaging, shoes, cables, plastics, furniture, etc. 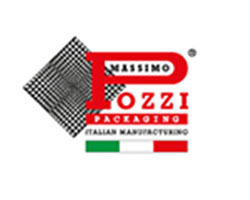 We can supply to any chain of shop hobby, bricolage, and encasement products. The products have warranty according to the law, these are made at our headquarter. From 2001 till now Elettrograf srl had participated at national exposition of furniture, encasement, advertising and industrials, as well as at external expositions of encasement. The adhesives are specially designed for various types of materials as: wood, plastic materials, glass, metal, ceramics, displays, paper, leather, synthetic fibers, electric components, etc. 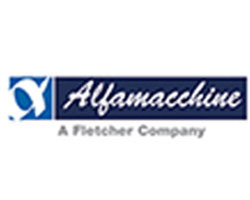 These adhesives were designed for all industries and can be used both for sealing and filling. Minigraf M3 is a pneumatic frame assembling machine and it has been designed to assemble any kind of frames. It is addressed to mass production of small frames. White / red limitation band, yellow / black limitation band, postal box, dark nutwood postal box, simple chock, roll chock, foldable chock, trolley C24, trolley C54, alluminium bag, tool case, tool trolley, work bench, etc. 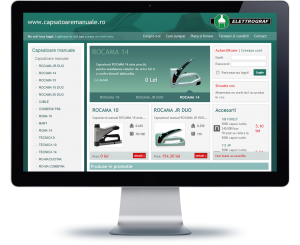 We invite you to purchase online staplers and consumables from: www.capsatoaremanuale.ro and www.capsatoareelectrice.ro! Elettrograf SRL have national supply through its own vehicles, courier and national group services. 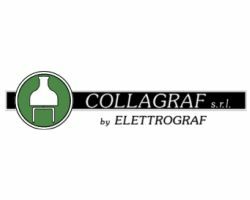 The logo and the color green are trademarks of S.C. Elettrograf S.R.L.